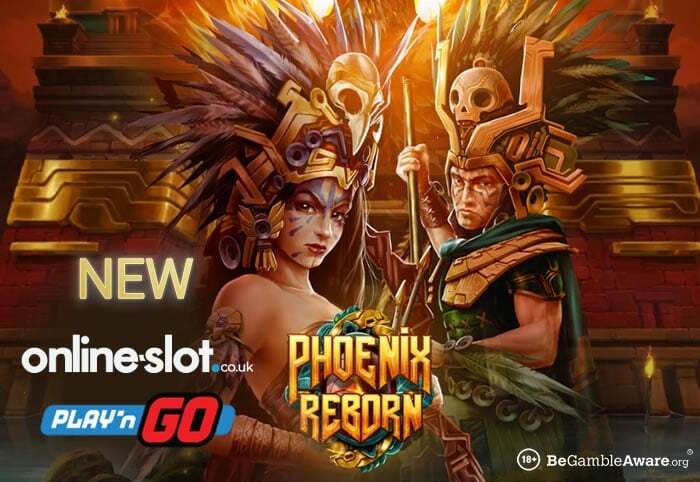 Unlock Aztec riches in the latest volatile slot from Play ‘N Go, Phoenix Reborn, which can provide wins of up to 1,000 times your stake. Phoenix Reborn is a 5 reel, 40 payline slot which can be played from as little as 20p a spin on all compatible devices including smartphones and tablets. High variance as you’d expect from Play ‘N Go, the Aztec themed title sees you visit a lost temple where you’ll see toucans, snakes, panthers and Aztec warriors on the reels. The Phoenix is naturally the wild and performs all the usual substituting duties – when it appears, it will take over that reel to reward you with a fully wild reel. Phoenix Reborn comes with a Free Spins feature where up to 40 free spins can be won in total. Furthermore, a Phoenix wild reel will appear on every free spin – with other Phoenixes appearing, you could end up with 5 wild reels on each free spin. This can result in payouts of 1,000 times your stake on every free spin! For more details, visit the Phoenix Reborn slot review. I recommend you play Phoenix Reborn at Unibet Casino – with 100s of slots, you have plenty of new games like Blueprint Gaming’s Wolf Legend MegaWays, ELK Studios’ Hit It Big, Microgaming’s Ancient Fortunes: Zeus and Thunderkick’s Midas Golden Touch. Sign up to get 10 no deposit free spins. On your first deposit, you will be rewarded with a 200% match bonus up to £200 – i.e. deposit £100, get a £200 bonus. You will then get up to 190 more free spins after you deposit which can be used on a selection of NetEnt titles including Gonzo’s Quest and Mega Fortune Dreams. If you love your slots, there are running a £20,000 Slots’ Champion Tournament where can come out on top and win 1 of 100 cash prizes – the top prize is a cool £6,000 in cash! You need to be quick as the tournament ends today.